Cultural Keys, founded in 2013, is an expat-owned and operated company registered in Hong Kong and Beijing. Our aim is to provide expats and visitors with a way to understand, access and enjoy traditional culture in China through providing information, education, products and services. Having lived in China for a combined total of more than 30 years, British founders AJ and Nic are passionate about Chinese culture. And with a hundred percent 5-star rating on all our reviews on TripAdvisor, Facebook and other social media, you can be assured of the quality of our products. 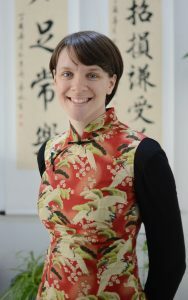 At our centre in the eastern Beijing suburb of Tongzhou, located in the unique and interesting Xiaopu Art Village, the CK Culture Centre offers classes in all aspects of traditional Chinese culture. With regular monthly classes, special one-off sessions and private classes available, we teach everything from Chinese TCM and calligraphy to poetry and painting. if you wanted to do more than simply see Beijing life and actually experience and learn the fascinating culture, no matter if you are a visitor or resident in our wonderful city, the CK Culture Centre is a great place to start! Also based at our culture Centre in Tongzhou, as well as online through Facebook and our Official WeChat Account, the CK Culture Boutique is the place to buy genuine Chinese cultural products, gifts and original works of art. From classic Chinese Feiyue shoes, to beautifully crafted calligraphy, if you’re looking for Chinese cultural gifts, for yourself or for others, you’ll find it in our store! Are you looking for a life changing experience? A way to push yourself? A way to escape everyday life and experience something truly different? With CK Martial Hearts, you get the chance to unlock your full potential and learn more about yourself and what you are capable of, by training traditional Chinese martial arts, as well as learning the history, life and culture that surrounds them. We offer both private martial arts classes in Beijing, and at iconic locations around China, such as the Shaolin Temple. So if you are looking for the meaning of Chinese kung fu, you can find it with CK Martial Hearts! Whether you’re at our corporate offices in the heart of the city, at our culture centre in Beijing’s eastern art district, or at one of our events around Beijing, when you are with Cultural Keys, you truly have the opportunity to unlock the potential of China!